Marine officer. CIA analyst. President. Jack Ryan has devoted his life to protecting the United States. What if this time, he can't? 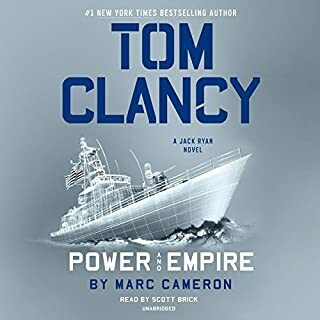 President Ryan and the Campus return in this entry in Tom Clancy's number-one New York Times best-selling series. But the scariest story is the most closely guarded one. Two Russian nuclear missiles have been hijacked. 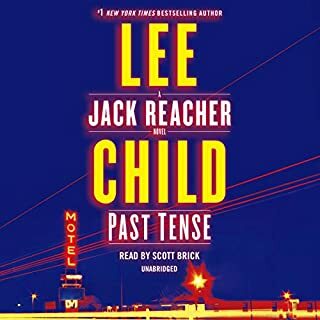 The Campus gets their first break when Jack Junior connects with a rogue Russian intelligence officer in Afghanistan - only to be abducted soon after arriving. John Clark and the rest of the Campus team race to track the missiles and rescue their colleague. Cameron deserves five stars just for getting this all in one book and having it all make sense! Scott Brick is Scott Brick. Need I say more! 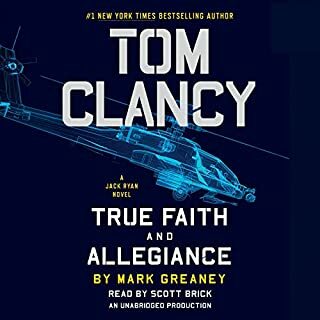 Tom Clancy Oath of Office is the latest book in the #1 New York Times Best-Selling Jack Ryan series of Thrillers and I am very glad to report that Marc Cameron did a fantastic job writing the new adventure and that Scott Brick delivers another perfect performance. 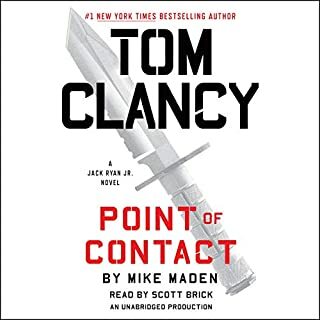 As you might know, if you follow my reviews, I hate spoilers so, without me giving any of the key plot points away, I will tell you that Jack Ryan is back for another heart stopping adventure! Oh, yeah, and it’s not only Jack, since we have the entire Campus team back in action. The story is great and the plot is strong and very well thought out. 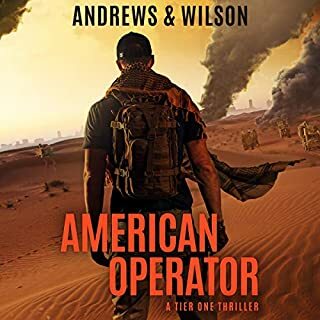 The plot is filled with twists and turns, the action moves at breakneck speeds from the United States to Iran, from Portugal to Russia and after that from Cameroon to Afghanistan and so on. Beware, once you start reading, you might not want to stop! 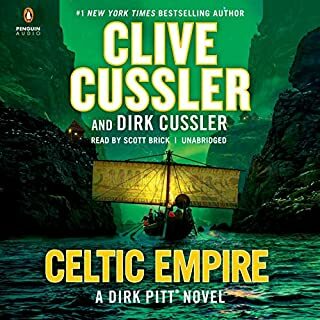 Scott Brick is one of the best narrators out there, in an industry full of talented artists, and his contribution to this series makes it even more immersive and highly enjoyable! The amazing Scott Brick returns once more to the Jack Ryan universe and brings to life old friends. He reads, he acts, he uses his accents in order to help the listener differentiate between the vast variety of characters of different nationalities. At the same time it’s clear that he enjoys the story and has a good time delivering another Stellar performance. Scott changes with ease between President Ryan, Jack Jr., John Clark, Ding, a Russian spy, a sadistic Iranian assassin and many others. 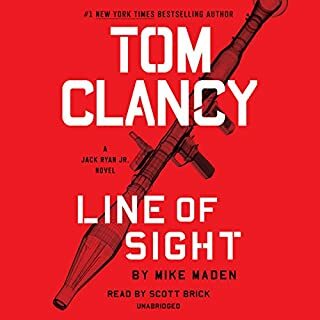 Oath of Office includes almost all of Tom Clancy's Ryan series characters from Jack Ryan Sr, to Jack Ryan Jr. to Cathy Ryan to John Clark to Dingo Chavez to Mary Pat Foley to Arnie van Damm to Dom Caruso to Adara Sherman. Both Ryan Sr., as President, and Ryan Jr. as covert agent play protagonist roles in this outstanding espionage thriller. 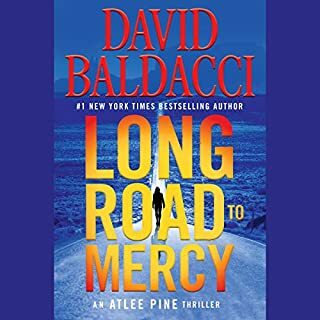 The novel deals with situations ripped from the headlines including Iran's nuclear ambitions and Russia's generally bad behavior. 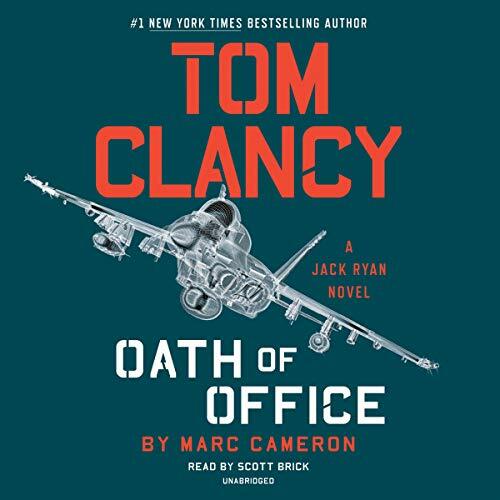 OATH OF OFFICE is author Marc Cameron's second consecutive Jack Ryan novel. Both Oath of Office and Power and Empire are superb. Author Cameron seems to have abandoned novels (at least for now) in his outstanding Jericho Quinn series. 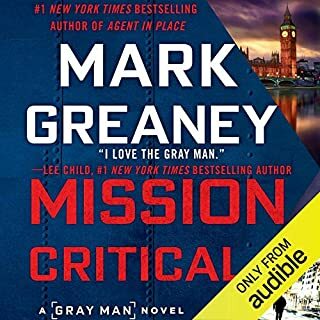 Cameron joins the great Mark Greaney as the best writers in the series ever (both are better than Clancy). 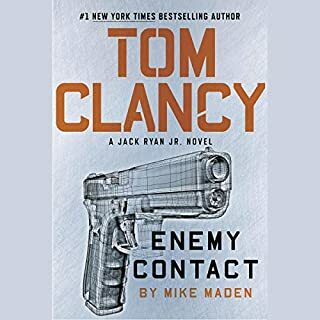 Mike Maden has taken over the associated four novel Jack Ryan Jr. series and is doing very well. Hopefully, Grant Blackwood will write no more novels in either series. 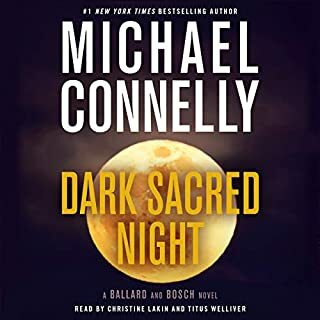 What can one say about the narration of Scott Brick except he is stellar as usual? 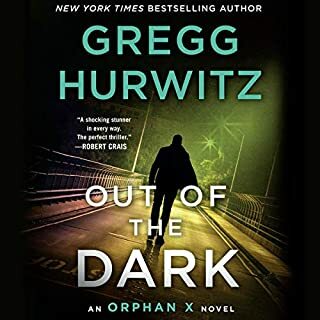 If you like espionage thrillers Oath of Office is highly recommended. 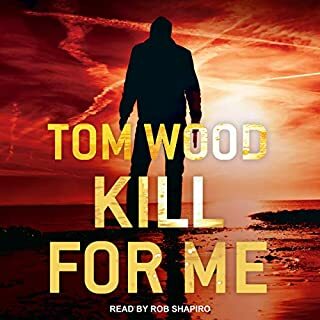 The new author to take over from the late Tom Clancy does a fine job, the narration is also excellent. A compelling storyline, with an idea that is unlikely, and yet possible. 10/10. Tom Clancy would be Unimpressed. 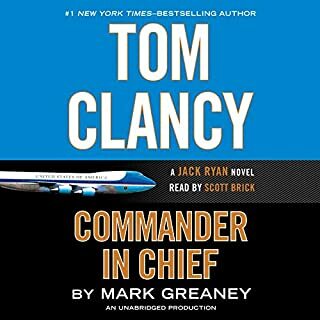 This is a continuation of the Jack Ryan Series started by Tom Clancy. This is March Cameron’s second book in the series. The book is well written. The story twists and turns and the suspense builds throughout the story. There are multiple plots and subplots along with many characters in the Clancy tradition. 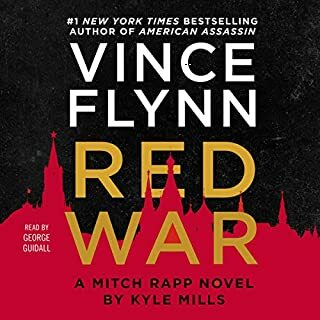 Jack Ryan is president and Russia, along with Iran is giving him problems. If you are looking for a good get-away-from-it-all book, this is it. The book is fourteen hours nineteen minutes. Scott Brick does a great job narrating the story. Brick has won over fifty Earphone Awards and five Audie Awards. He also was named Publisher Weekly’s Narrator of the Year and the Audiofile Magazine’s Golden Voice Award. I enjoy these books. I’ve been looking forward to this book as I am the next. Very entertaining but a little on the short side and maybe a little too simple. This one seemed to be in a hurry. It was light on descriptions and back stories. It’s missing a little of the older books in which there was a deeper mystery that was unraveled at the end. So I’m a little disappointed but still happy to have a new book. Definitely worthy of the time. So enjoy readers. Writers please step it up and thank you! Also thank you Mr Scott Brick. As always it’s a pleasure to listen to your narrative. A suspenseful Clancy novel with multiple characters and story lines, which somehow all come together to solve an international problem. Jack Ryan Jr and his clandestine group face many obstacles, but manage to save lives and keep the US safe. 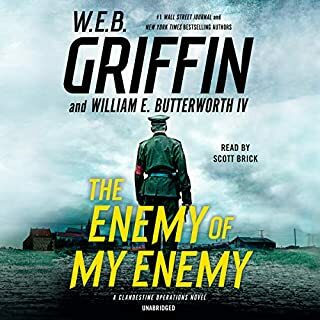 Scott Brick does his usual excellent job with narration. 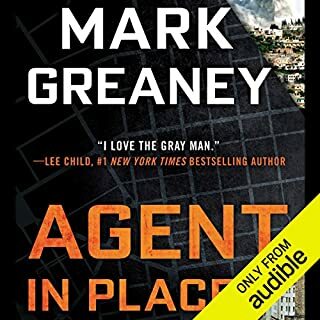 I really liked this Clancy novel by Marc Cameron, but my favorite is Clancy novels by Mark Greaney. I totally enjoyed the book. 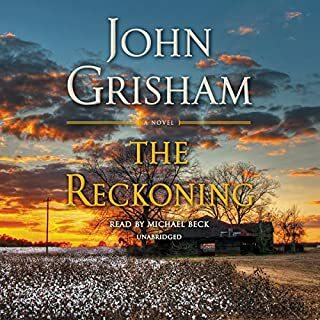 Having all of the previous characters that have been incorporated in the story made hearing the book a most pleasurable experience. Scott Brick’s narration was just about perfect.